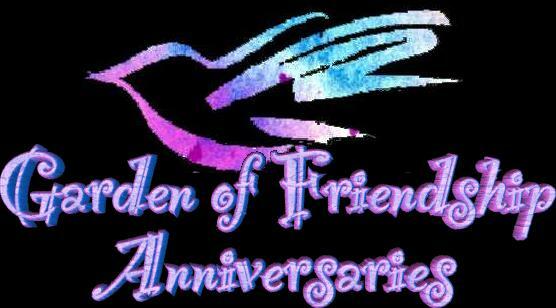 Garden of Friendship members take the time to remember other members in many ways. 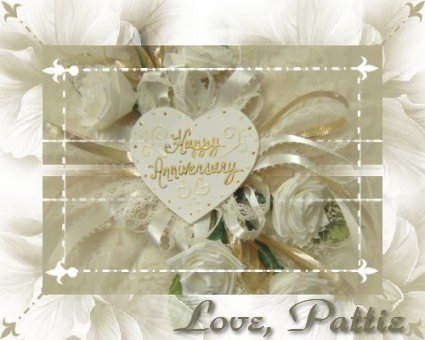 One of the ways is to send greetings and create pages for a person's wedding anniversary. Members spend countless hours creating unique graphics and memorable pages for the special day. It is truly amazing. This page honors those efforts. Graphics are linked to the givers as appropriate.